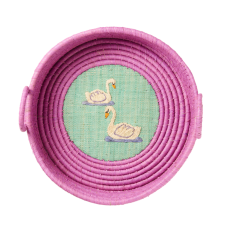 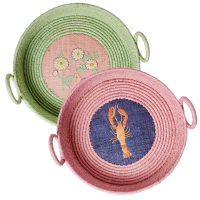 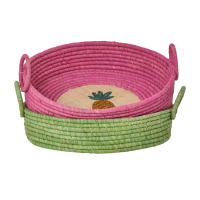 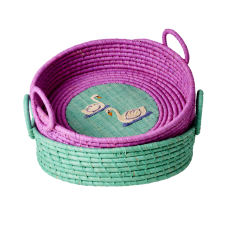 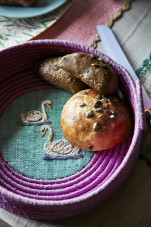 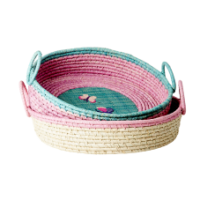 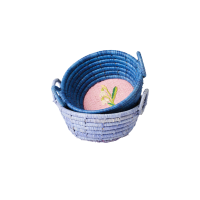 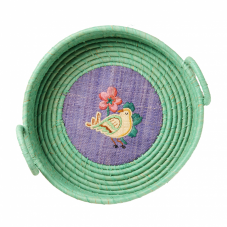 Love these round raffia bread baskets with embroidered Swans or Birds from Rice DK. 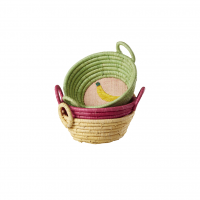 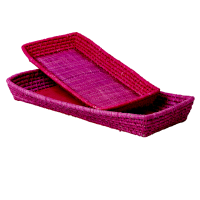 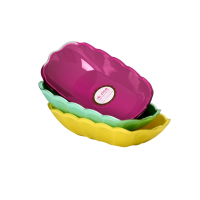 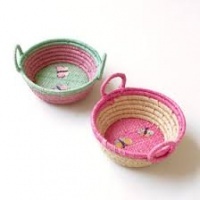 These colourful baskets will add an instant splash of colour to your table or use for storage on a shelf. 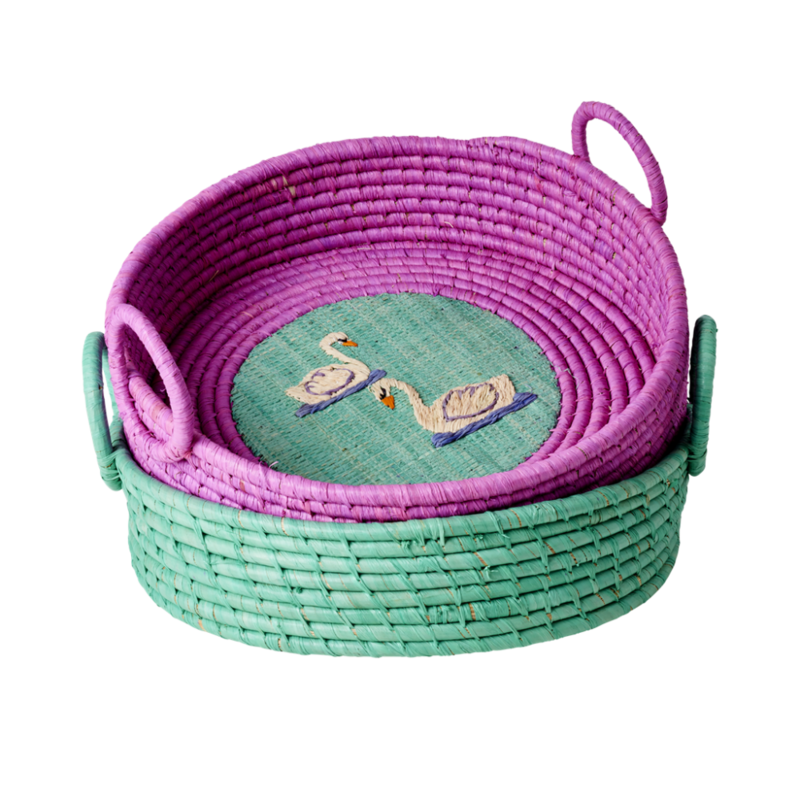 Each basket has either elegant Swans or Birds embroidered onto the base.